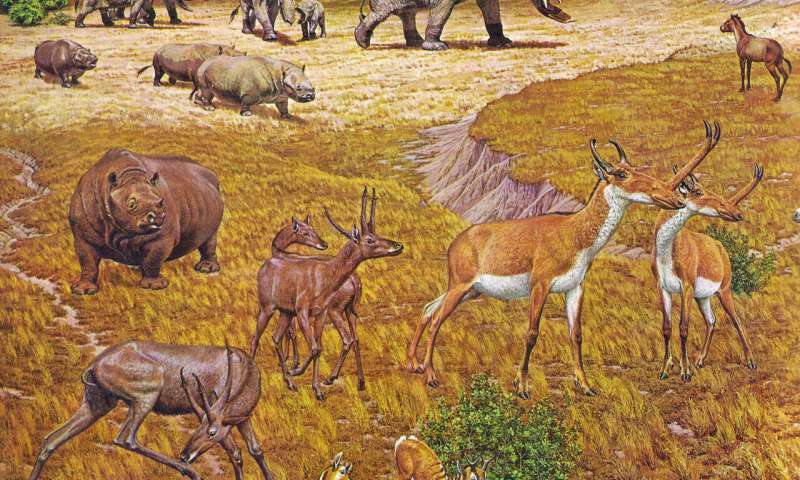 Now, decades after they were first collected, a UT researcher has studied and identified an extensive collection of fossils from dig sites near Beeville, Texas, and found that the fauna make up a veritable "Texas Serengeti—with specimens including elephant-like animals, rhinos, alligators, antelopes, camels, 12 types of horses and several species of carnivores. 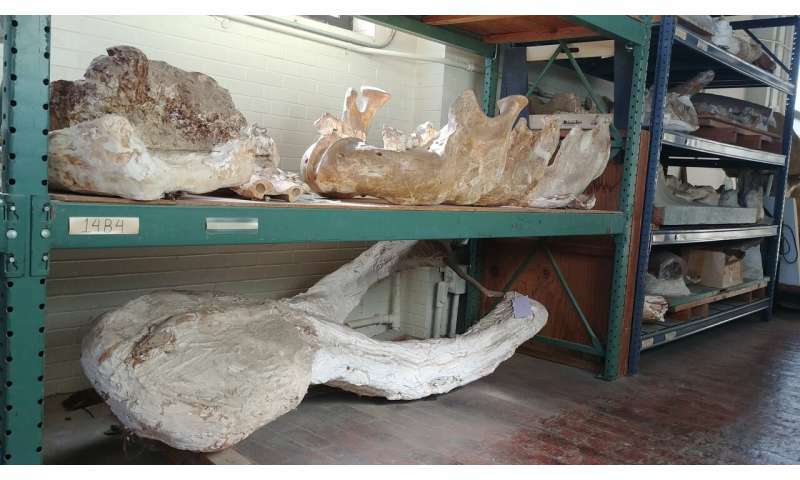 In total, the fossil trove contains nearly 4,000 specimens representing 50 animal species, all of which roamed the Texas Gulf Coast 11 million to 12 million years ago. 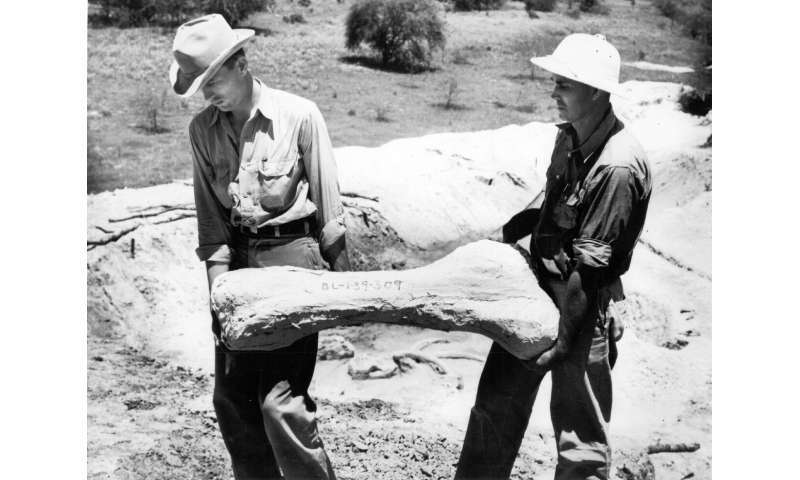 The emphasis on big mammals is due in large part to the collection practices of the fossil hunters, most of whom were not formally trained in paleontology. Large tusks, teeth and skulls were easier to spot—and more exciting to find—than bones left by small species.